When running ventilation and air conditioning systems, it is particularly important when the outside temperatures are cool to humidify the external air that is sucked into the air conditioning system in a controlled manner. Only sufficiently moist supply air can avoid dry supply air in the rooms and permanently ensure a healthy, pleasant air humidity of more than 30-40% relative humidity. The air conditioning system in the 12,000 m2 Gamma building in the Campus Kronberg has a supply air requirement of 54,000 m3/h (64,800 kg/h). The corresponding exhaust gas volume flow is divided into two strands. They chose two “GS” series, gas-operated steam humidifiers from Condair GmbH, Garching, each with a nominal steam output of 200 l/h. In addition to this, there is an “AX” series reverse osmosis water preparation system (desalination) with a maximum output of 500 l/h and a “Jumbo Esco” steam distribution system which distributes the steam evenly over the cross section in the air conditioning device (Figures 3-5). 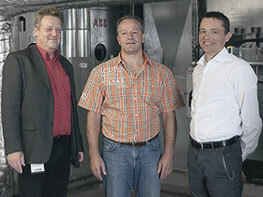 The installation of the new system was carried out by Bilfinger HSG Facility Management Rhein-Main GmbH in Hanau. How does the steam humidification technology work? 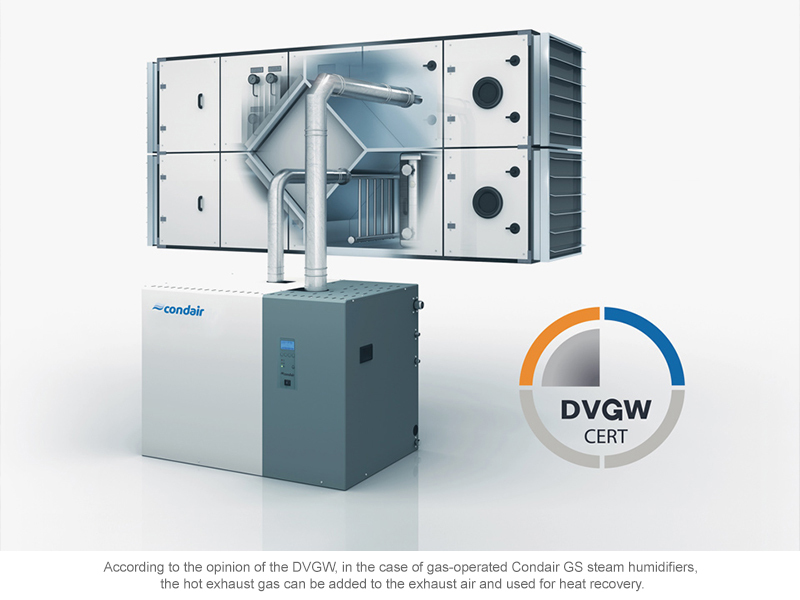 Compared to conventional air humidification systems, the patented stainless steel “Condair GS” steam humidification system has a unique selling point: In this system, the fuel gas released in the steam generation in the exhaust air section of the air conditioning device can be added before heat recovery. The safety technology and hygienic safety of this procedure have been confirmed by the German association for gas and water (Deutscher Verein des Gas- und Wasserfaches, DVGW). Thanks to this innovation, steam humidification in central air conditioning devices is becoming more efficient and more economical. 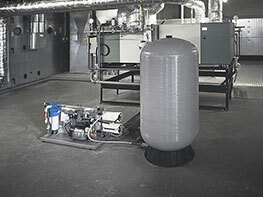 - Compared to the previous solution (air humidification with water by means of honeycomb humidifiers), the steam humidification system, which is operated in particular during the cold, dry times of the year, decreases the output of the heater battery in the air conditioning device and increases the heating performance. - Since no separate chimney is now needed to discharge the exhaust gases, this means that the installation of the system is significantly simpler and saves on investment costs. - The addition of the hot exhaust gases from the steam humidification increases the temperature of the exhaust gas flow. This increases the heat content of the exhaust air, and more heat can be transferred to preheat the surrounding air in the heat recovery in the air conditioning device. The level of the additional amount of heat which is recovered by the mixing of the exhaust gases depends on the way the steam humidifier is operated (full or partial load). The amount of steam necessary for air humidification depending on the operating conditions (temperature and humidity of the surrounding air, target humidity of the supply air) is regulated precisely and added to the surrounding air in the air conditioning device via a distribution system. A maximum of 400 kg of steam per hour are generated in the steam humidifiers used in Campus Kronberg. From this, approximately 540 kg/h of exhaust gases are produced during burning. 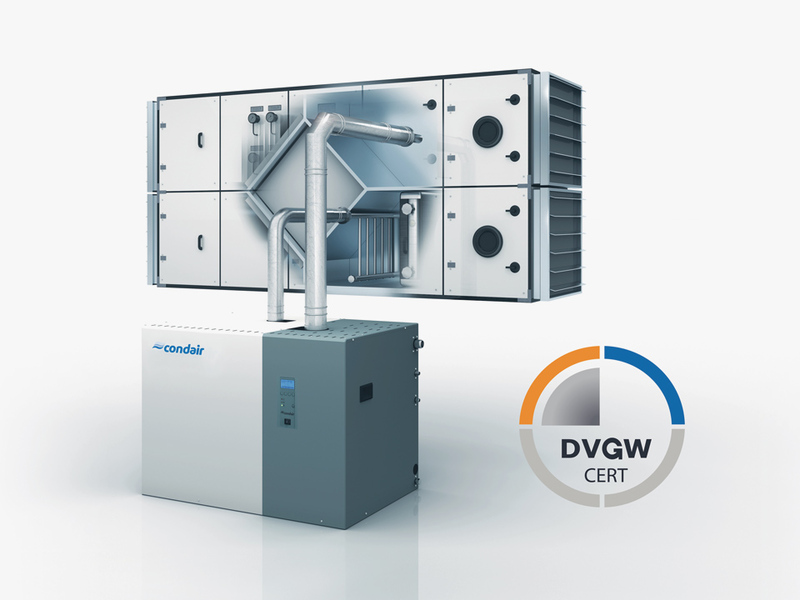 By adding these exhaust gases, the exhaust air (36,000 kg/h) is heated by approximately 45 kW or around 4.5 K. Of the 45 kW of heat output added, between around 29 kW (HRE = 65%) and 34 kW (HRE = 75%) is transferred to the cool surrounding air, depending on the quality of the heat recovery in the air conditioning device (heat recovery efficiency = HRE) and the way it is operated (with/without condensation on the exhaust air side). These figures also include the condensation heat. In the combined circulation system used (HRE = 40%), the amount of heat transferred with maximum output from the steam humidification and condensation is approximately 18 kW. The load on the air heater arranged downstream in the air conditioning heat recovery device is reduced by this output. 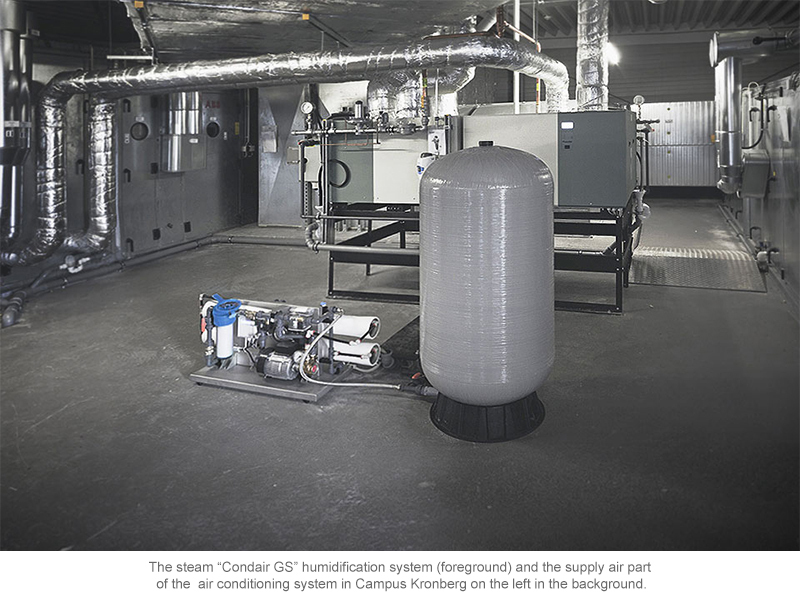 Since a combined circulation heat recovery system is used in the air conditioning system at Campus Kronberg, the surrounding supply air and the exhaust air volume flow are completely separated and no exhaust gases from the steam humidification can pass into the supply air. However, it is interesting to see how this situation would change if a rotational or plate heat exchanger is used for heat recovery in the air conditioning device. In DIN EN 13779 “Ventilation of Non-Residential Buildings” and in VDI 6022 “Hygiene Requirements of Air Conditioning Systems and Devices,” there is a requirement that the quality of the external air sucked into the air conditioning device may not be worsened in the heat recovery system. If the exhaust gases in the exhaust air generated when the gas steam humidification is operated are mixed in, the question arises of whether and to what extent the exhaust air quality and possibly also the supply air quality could be impaired as a result of a slight transfer in the heat recovery system. The operation with maximum steam output and maximum exhaust gas release should be used as the worst case scenario for this. In the air conditioning system at Campus Kronberg, the exhaust gas flow is a maximum of 540 kg/h. This results in a proportion of exhaust gas in the mass exhaust air flow (36,000 kg/h) or 1.5%. As a result of the mixing, the combustion gases are so heavily diluted that the mixed air flow is not classified as exhaust gas and it is possible to discharge this out into the open via the air conditioning system with no problems. At an assumed leakage rate in heat recovery of a maximum of 10% (worst case) in accordance with VDI Guideline 3803 Sheet 5 “Ventilation and Air Conditioning Technology – Heat Recovery,” the worst-case scenario in terms of a possible transfer with a full amount of air and maximum steam output is a maximum of 54 kg/h. If these 54 kg/h exhaust gases get into the supply air side of the air conditioning device and mix with the 64,800 m3/h surrounding air flow, this will result in a proportion of the exhaust gas of an infinitesimally low 0.083%. 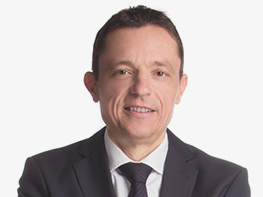 Since, however, the heat recovery systems used today have significantly lower leakage rates than 10% and, for the example of the worst case scenario, the maximum exhaust gas amount was assumed, in reality the transfer of exhaust gases into the supply air will mostly be significantly less than the 0.083% calculated, which in any case would not have any effect on the quality of the supply air.